Wonder Girls & Big Bang: "Tell Me" & "Lies"
Cosmic Girls & EXID - "UP DOWN + HOT PINK"
EXID is definitely the cool seniors that offered Cosmic Girls to share a lunch table with them. Cosmic Girls honored their friendship with a powerful cover of their song and even joined EXID for the dance break during "Hot Pink." What's your favorite idol cover? honestly I love it when groups do a song swap. There’s probably a dozen more not listed here that aren’t amazing. Some of my Personal favorites from recent years are Seventeen’s cover of Mamamoo’s Decalcomine, G-Idle’s cover of BTS fake love and SuJu’s Black Suit, and CLC’s cover of 4minute’s Crazy. But NOTHING tops Boy’s Day cover of Girl’s Day Somthing. The 2nd generation will always be the best in terms of singing others' songs. 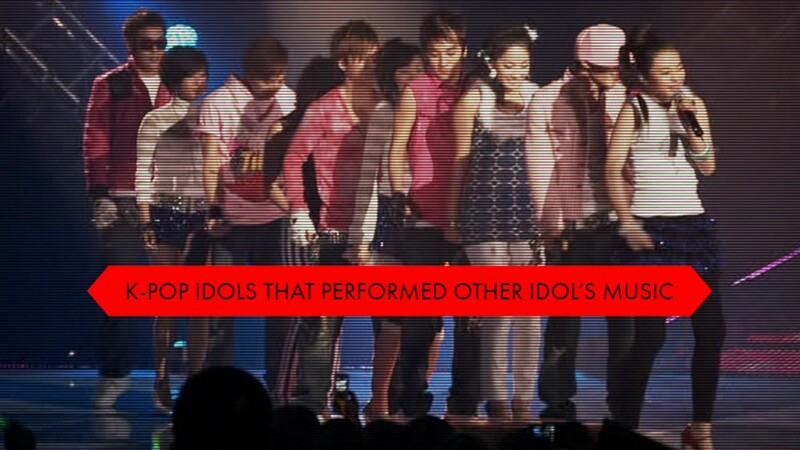 2009's Gayo Daejun was simply gold.